Keller Williams rolls out real estate industry's first end to end platform, and it is a game changer. Command isn't simply a CRM, it is much more. In the end it will give the consumer a much different experience than they've experienced before. We have 3 spectacular open houses this weekend. We have 2 spectacular homes open this weekend. 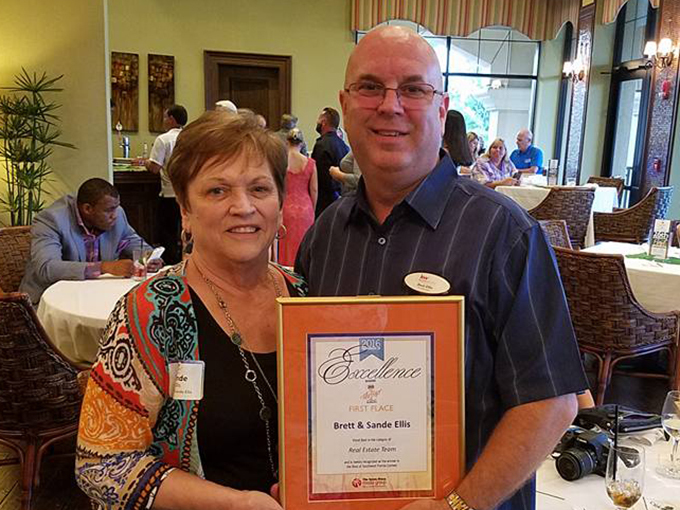 We'd like to thank News Press readers for voting us Best Real Estate Team in SW Florida. Over 60,000 votes were counted and we're honored to win this award for the 2nd year in a row. Southwest Florida real estate 2016 year end statistics are due to be released tomorrow. SW Florida December statistics were released and we saw some encouraging signs for the market heading into 2017 after a lackluster 2016. The Ellis Team at Keller Williams Fort Myers & The Islands is hiring agents now. Our team is growing and we have specific needs. We're looking for three types of agents. You may have noticed our logo has changed as well as our address. After nearly 30 years with RE/MAX Realty Group in Fort Myers the Ellis Team has moved to Keller Williams.